Invisalign is the new Weight Watchers? Over the weekend I was kicking myself for missing my Weight Watchers anniversary, but then on the way home today I realized that I got my Invisalign very close to my WWversary. Now what on earth do braces have to do with WW (which I haven’t followed since Dec ’10 anyway)? 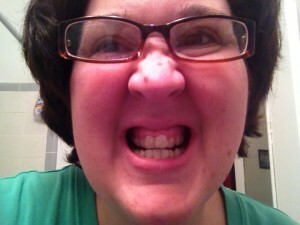 I’m down 4 lbs this week because Invisalign has *touch wood* kept me from snacking. It’s also my inherent laziness paying off. The m&m or whatever isn’t worth going to the bathroom, taking aligners out, eating whatever, going back to the bathroom, brushing my teeth and putting them back in. Some wise friends said this isn’t going to last, but I’ll take it while it does. Maybe I’ll re-break a few bad habits while I’m at it? Unrelated unexpected side effects: I’ve made my lunch for all of this week and made it last week too. I had no soda today. That was accidental I’m cutting back (hate Sprite, hate straws) but didn’t expect to go a day without. But I still don’t like the taste of plain water. 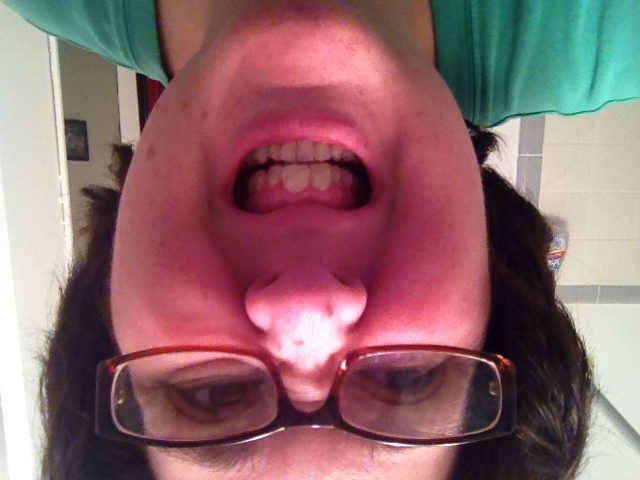 Invisalign, one week in. 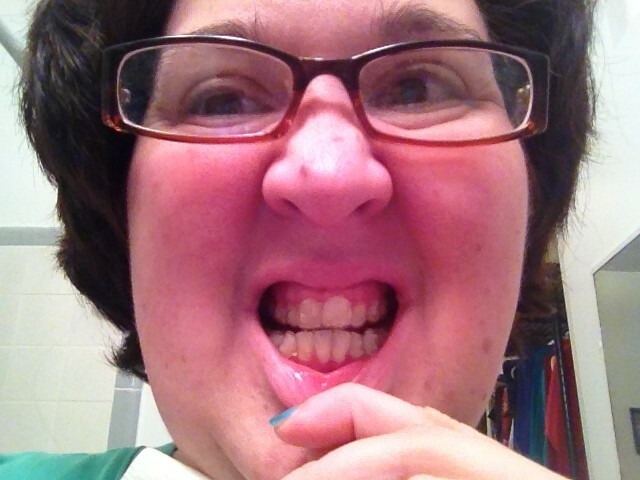 Aligners on.